BLACK IS OUT OF STOCK BUT AVAILABLE FOR BACK ORDER. 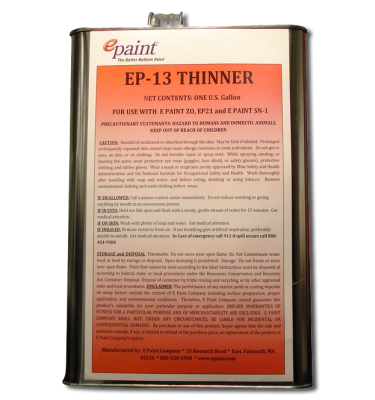 Due to the photoactive nature of ePaint SN-1 HP, additional coats around the waterline are strongly recommended to extend service life. SN-1 HP is thermo-plastic by nature and hot temperatures above 90 deg. 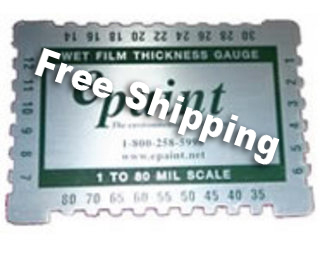 F can soften SN-1 HP slightly, particularly on aluminum boats in full sun, which can cause paint to dig into pads and straps. If SN-1 is to be launched in hot climates, consider launching boat in the morning before full sun and temperatures climb. Place plastic sheeting between pads and straps before lifting. The thermo-plastic nature of SN-1 HP has no effect on antifouling performance and paint will immediately harden when placed into service of cooler waters. 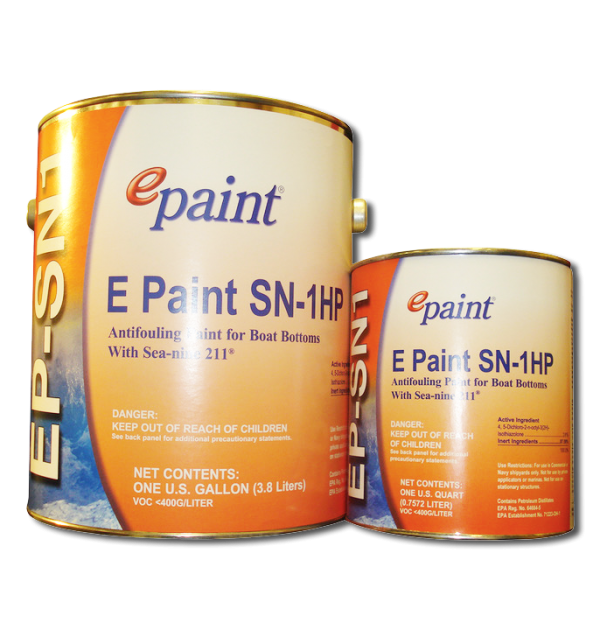 ePaint SN1 HP coating technology was developed, uses materials from, and is proudly manufactured in the USA. 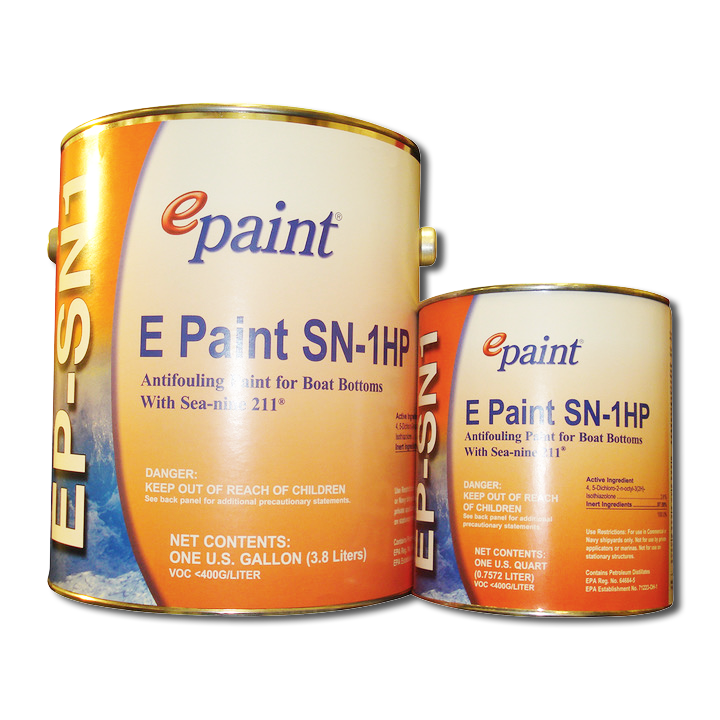 Please contact ePaint.com at websales@epaint.com for more information on ePaint SN1 HPor other ePaint products. 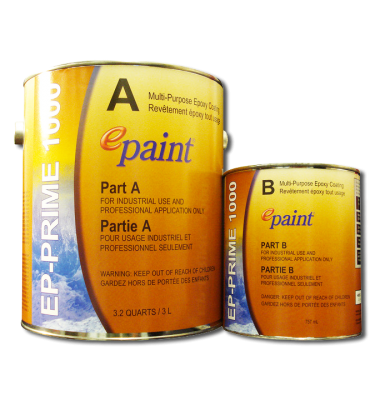 Compatibility: Fiberglass, aluminum, steel, outboards, outdrives, trim tabs, epoxy type primers, and most popular traditional bottom paints.